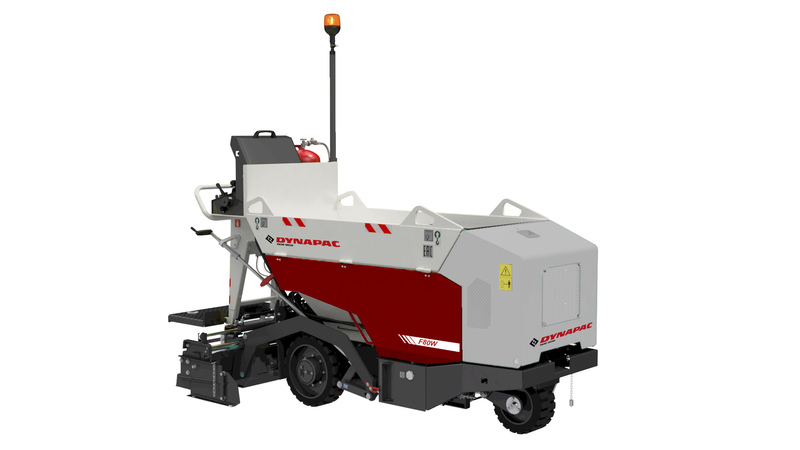 Introducing the new 80 centimeters wide mini paver F80W: Dynapac now offers a paver solution for small jobsites, narrow paving areas or landscaping asphalt and/or sand jobs. The F80W - equipped with its gas heated vibrating screed V1300V - is the perfect fit for jobsites with a working width range between 0.25 and 1.65 meters. The simple and robust design is easy to operate, so the F80W is the ideal partner for smooth and well compacted surface jobs, which cannot be achieved manually. The Dynapac F80W and the vibrating screed V1300V will be available starting Q4/2018. In combined usage with the Dynapac Rollers CC800/CC900 and DTR75, the Dynapac F80W ensures excellent surface quality and sufficient compaction degree. Due to its weight of only 1.2 tons and its compact dimension, the equipment can be transported together on a single trailer. The F80W gas powered screed heats up within 15 minutes, the economic Hatz Diesel engine and robust components ensure an easy service life and high up time.